Clearing and grubbing 2,500 LF of canal bank. Prepared the slope and flow line for the installation of gabion baskets. 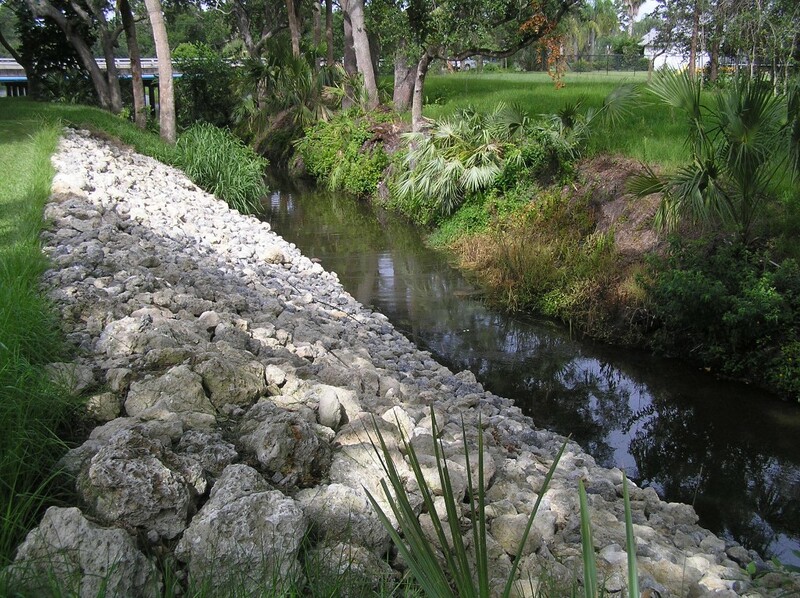 Installed gabions to the lines and grades reflected within the construction plans. Placed backfill material in controlled lifts to meet the 95% density level requirement of the contract specifications. 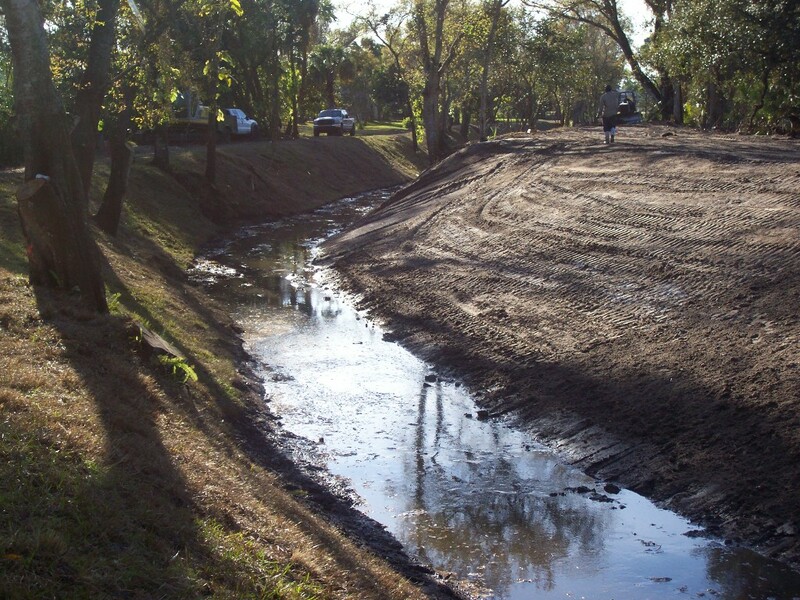 Graded the right-of-way road per plan and placed sod to prevent erosion of the newly repaired bank. 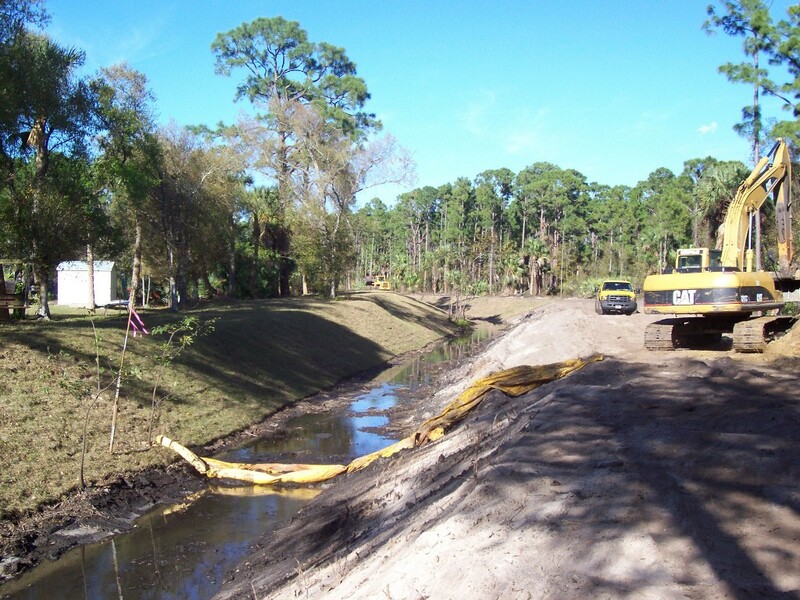 Installed geotextile fabric, bedding stone, and FDOT riprap at each end of canal around the mitered end sections of the culvert pipes. Restored asphalt walkway at entrance of job site. 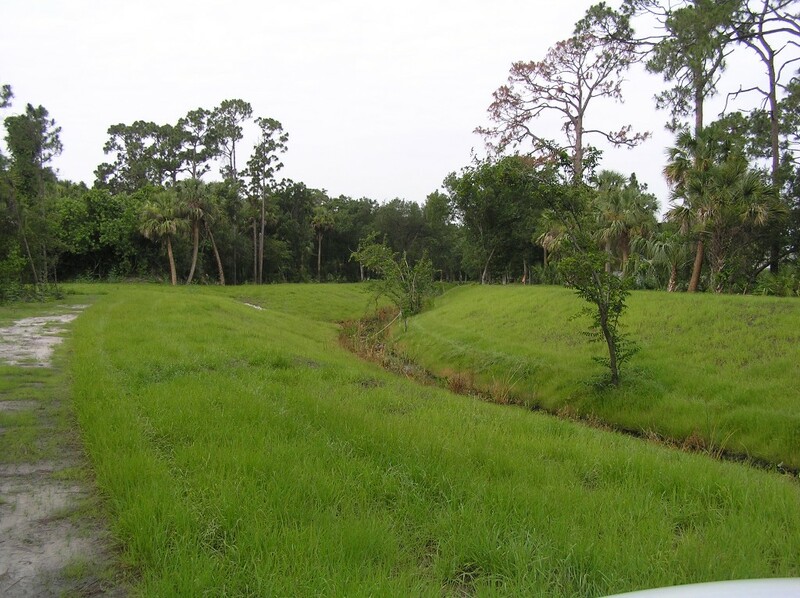 Removal of vegetation in an environmentally sensitive area of Howard Creek to improve water flow in the event of a tropical storm or hurricane. Required the construction of a maintenance road and temporary rock bridges for equipment transport, as well as installation of riprap and pipes. 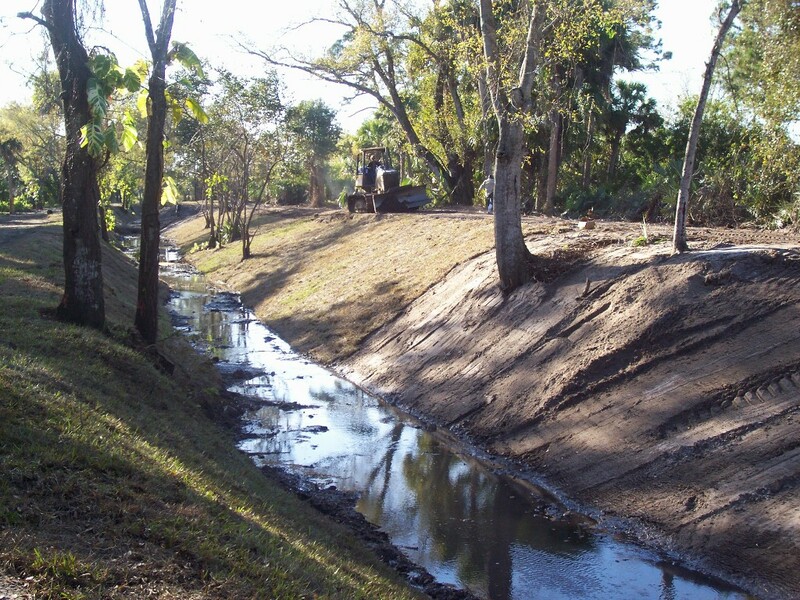 Turbidity controls, gopher tortoise and indigo snake protection measures required.